Winner : Adani Ports & Special Economic Zone Ltd. Winner : Mediterranean Shipping Company S.A. 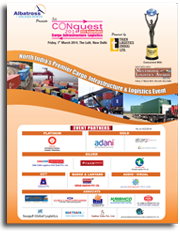 Winner : Container Corporation of India Ltd. Winner : Hind Terminals Pvt. Ltd. Winner : Albatross Inland Ports Pvt. Ltd. Winner : CMA CGM Logistics Park Dadri Pvt. Ltd. Winner : Maple Logistics Pvt. Ltd. Winner : Caravel Logistics Pvt. Ltd. Winner : BLPL Singapore Pte. Ltd. Winner : Transpole Logistics Pvt. Ltd. Winner : Kuehne + Nagel Pvt. Ltd. 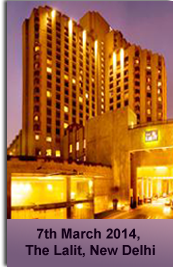 Winner : P. S. Atree & Company Pvt. Ltd. Winner : Divya Shipping & Clearing Services Pvt. Ltd. Winner : AV Global Corporation Pvt. Ltd. Winner : Pronk Multiservice India Pvt. Ltd. Winner : Hans Infomatic Pvt. Ltd. Winner : Tiger Logistics (India) Ltd. Winner : Satkar Logistics Pvt. Ltd. Winner : Ms. Chandrika Mohan, Deputy General Manager, United Liner Agencies of India (Private) Ltd. Winner : Ms. Anchal Gulati, Supply Chain Manager, Bennett, Coleman and Company Limited. Winner : Mr. K. K. Kaul, Director – SCM, LG Electronics India Pvt. Ltd. Winner : Mr. Arun Kachru, Group CEO, Associated Container Terminals Ltd. Winner : Pristine Logistics & Infraprojects Pvt. Ltd. Winner : Mr. B. N. Shukla, MD, KRIBHCO INFRASTRUCTURE LTD.